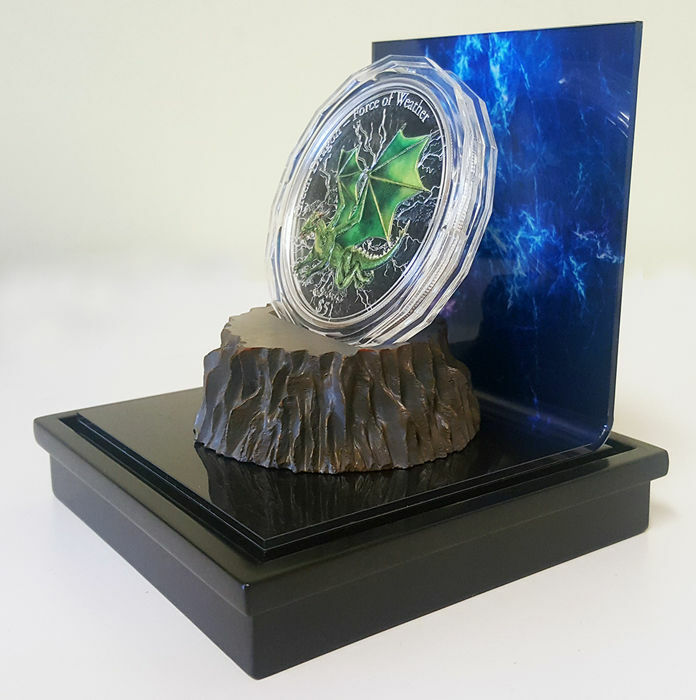 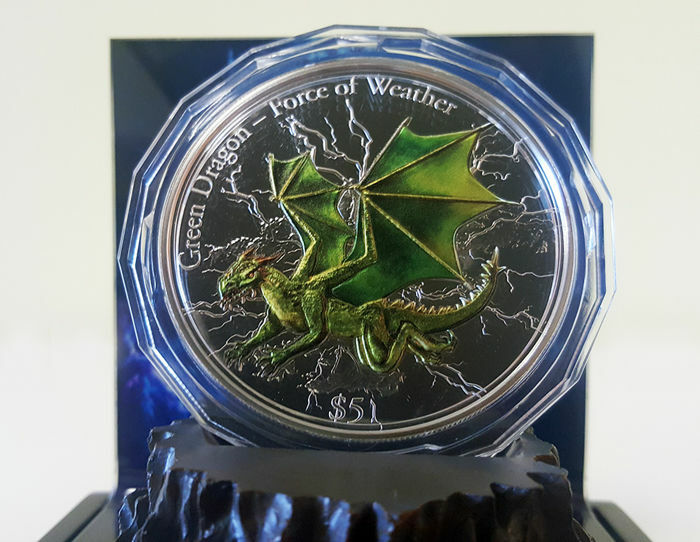 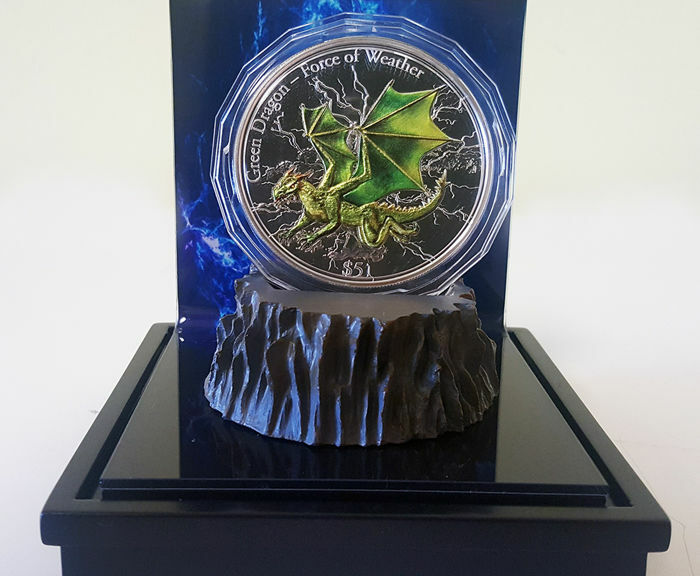 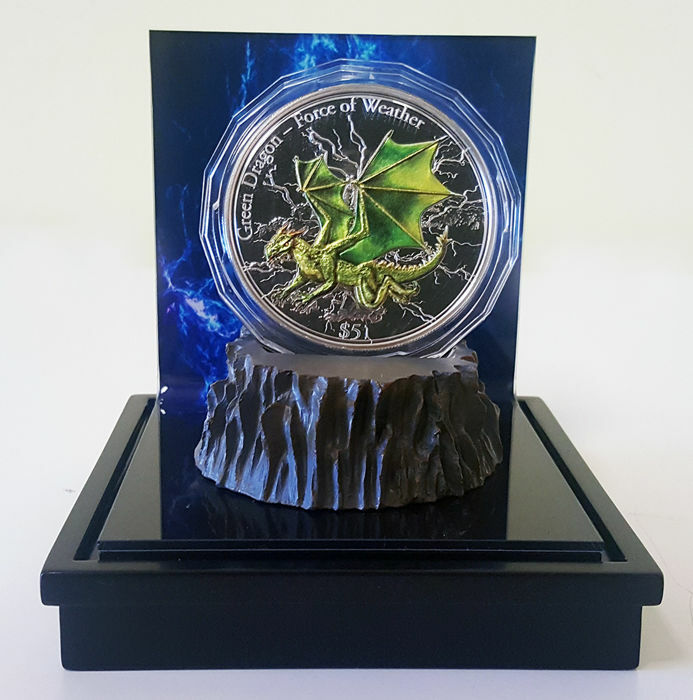 This incredible 3-ounce, 999 silver coin is the third in the series and depicts an incredible Green Dragon, a legendary creature feared for its power and beloved for its beauty. 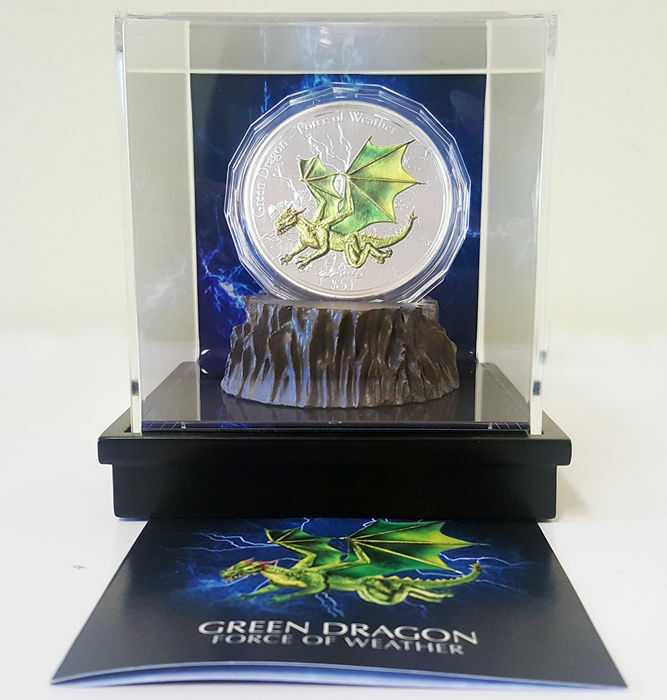 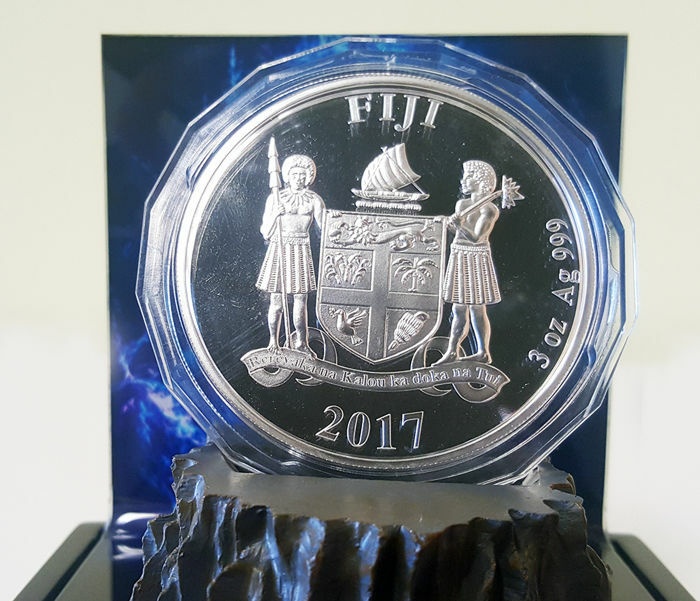 The coin features a stunning relief and green colouration, it is Proof quality and will be supplied with a case, along with its certificate of authenticity. 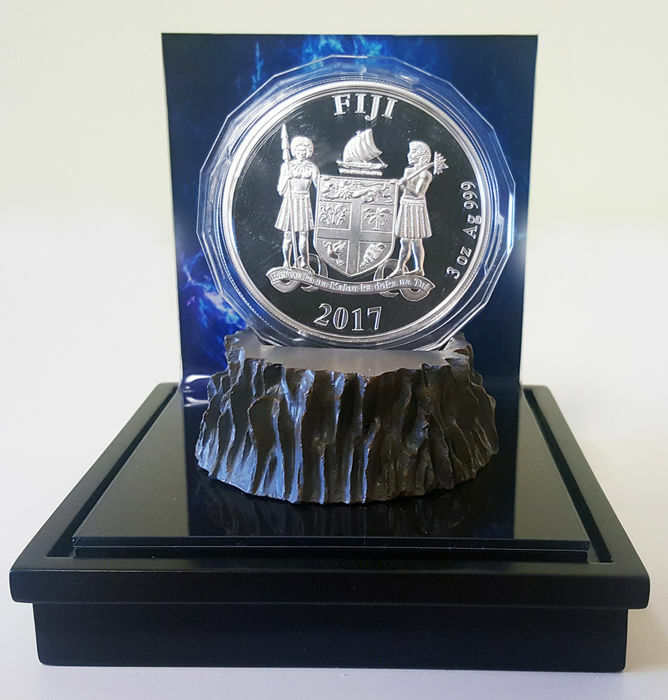 Limited edition of only 1,000 pieces worldwide.